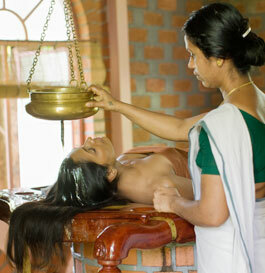 Take a transformational journey to Kerala, India as you embrace the ancient healing science of Ayurveda. Touted 'God's own Country' Kerala is India's luscious jewel abundant with herb and tea plantations, scenic beaches and breathtaking backwaters. 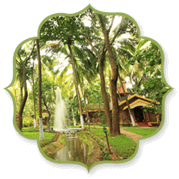 Our retreat takes place at the award winning Kairali Ayurvedic Healing Village well away from the hustle and bustle of India's City's. People come here from all corners of the globe to experience profound healing and it's also where the Indian people themselves come to restore balance, health and inner harmony. 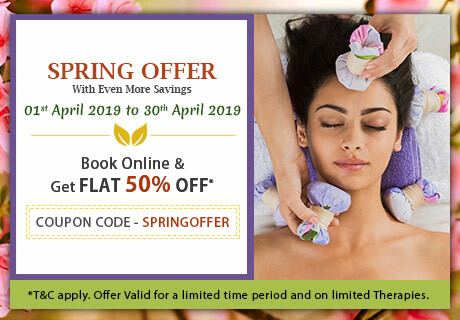 Your retreat begins with a detailed consultation with an Ayurvedic doctor who will carefully design Ayurveda experiences to treat, heal, restore and rejuvenate your health. 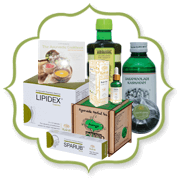 Ayurveda is an elaborate healing system of India, a science of life based on the laws of nature. Its derived from the Sanskrit words Ayur(life) and Veda(knowledge), it traces its origins to about 50 centuries. 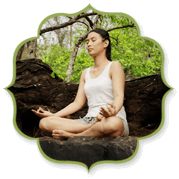 Each day on retreat begins with a yoga session and includes 2 x Daily Ayurveda Treatments (prescribed especially for you by the Doctor), meditation, nourishing food and relaxation. Dotted throughout your retreat you will experience an Ayurvedic cooking class, mindfulness workshops and Yoga Nidra which will arm you with invaluable life skills to return home with. Upon our arrival in India, before we embark on our Ayurvedic Healing Journey we spend 2 nights in Fort Kochi just 45mins from the international airport. There will be a full day to explore this eclectic neighbourhood at your leisure including the lively spice and antique market and local art scene. After meandering the well preserved colonial streets on foot or by rickshaw we finish our day taking in an unforgettable sunset as the fisherman return with the days catch. For dinner we'll be feasting on Kerala's signature curries with new and old friends. Have you ever wondered why people gain weight at different rates, walk at different speeds and are prone to different health problems? According to the ancient Indian healing system Ayurveda, the answer lies in your constitution type or Dosha. This quiz will help you identify your Dosha, discover which elements govern you and learn how to live the optimum lifestyle for your constitution type. All inclusive package as listed above. Flights are additional. Closest Airport is Cochin International Airport. Flights are not included. Visas are the responsibility of the individual traveller and currently the E Visa can be applied for 34 days prior to arrival. Entry requirements can change at any time so be sure to visit https://indianvisaonline.gov.in/visa/tvoa.html for up to date information. Passport holders from these countries can apply for an E-Tourist Visa (eVT) to have their visa issued upon arrival at 16 major airports in India including Chennai and Trivandrum. 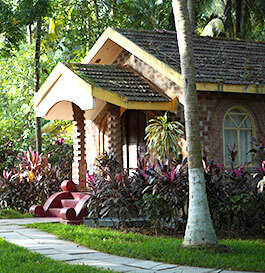 Fragrant Nature Retreat & Resorts Pvt Ltd. Your visa application form may require you to state the dates on which you enter and exit that country. Please note we suggest you list your date of entry a few days before, and date of exit a few days after, your intended dates in case you encounter any delays or problems en route. Delicious Keralan cuisine, prepared using traditional Ayurvedic principles with pesticide free produce from the retreats own farm. Closest Airport is Kochi. Flights not included. Departing Kochi on Sunday 24th November at at 22:55 on M1467 to Brisbane (Via Singapore) and arriving at 16:55 on the the 25th November. Watch this Space details coming soon! A non-refundable deposit of 30% is required to reserve your booking. The full balance is due two months prior to the retreat, otherwise your booking may be cancelled. We provide a nurturing and safe environment and our program is thoughtfully planned, but no responsibility will be taken for any injuries incurred during the retreat. We advise you to consult your doctor if you have any pre-existing medical conditions and inform the retreat leader so that modifications can be given to students with special needs. You consent to us using images of you taken during the Retreat for advertising and promotional purposes in any medium we choose. You grant us a perpetual, royalty-free, worldwide, irrevocable license to use such images for publicity and promotional purposes. 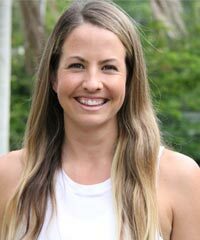 Emily is a Yoga and Mindfulness Teacher and certified Holistic Health Coach. Recognised as an expert in her field, Emily has garnered much acclaim from her viewership on www.fmtv.com where she appears alongside other industry leaders including Deepak Chopra, Wayne Dyer and Dr Bruce Lipton to name a few. With a decade of teaching experience under her belt Emily is also an eternal student of yoga globally with formal training in Hatha and Vinyasa flow. She has beautifully combined these styles to create her own much loved yoga experience. This 'fusion' style is the perfect blend of light and shade, one flow will have you generating heat and building lean muscle and the next will have you blissing out in a slow, opening restorative sequence.